If you are lucky enough to be in town for the 4th of July, head to McHenry to see the Fire on the Mountain fireworks display! 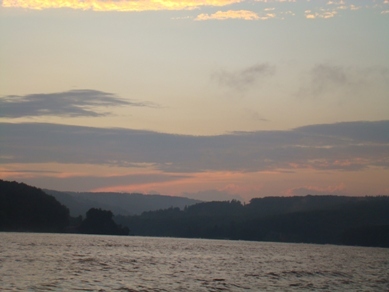 Set off above Marsh Mountain at Wisp Resort, the display can best be seen from a boat in the McHenry Cove or right here at Taylor-Made Deep Creek Vacations & Sales! The fireworks are set to start at 9:30 p.m. If it is a rainy night, no worries! Fire on the Mountain will have a rain date on July 5th, just in case! 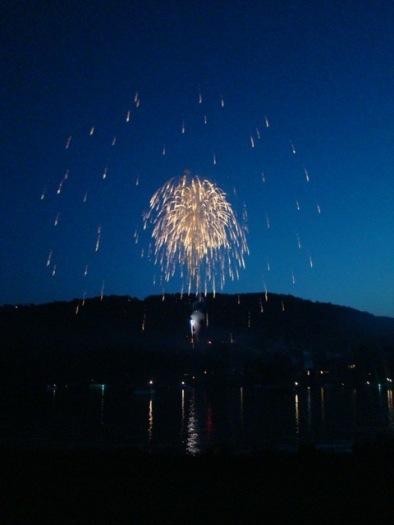 — MCHENRY — Fireworks will light up the sky at Deep Creek Lake July Fourth at the annual Fire on the Mountain display presented by the Garrett County Chamber of Commerce. GCC Technologies LLC is the major sponsor for the 2014 display, which is set to begin at dark. The shells are launched from the top of the Bear Claw Tubing Park at Wisp Resort. 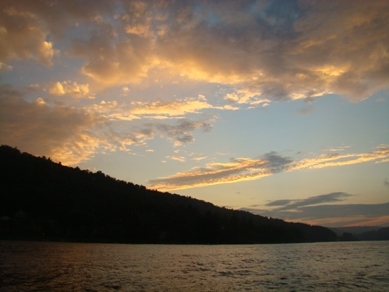 Prime viewing locations include the scenic overlook on U.S. Route 219, Wisp Resort and from a boat on the lake, particularly around McHenry Cove. The rain date for the event is July 5. 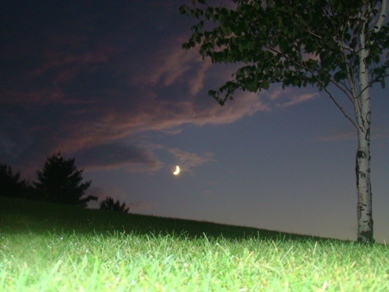 For more information, visit the website www.visitdeepcreek.com or call 301-387-4386. Rockets' Red Glare, and Lightning, Too! Both man-made explosions and nature’s own display were featured in the annual Fire On the Mountain July 4th fireworks last night at Wisp. The sky was quite alive with fireworks and lightning, as captured in this photograph, and had in fact just cleared enough for the show to begin at 9:30. A severe electrical storm preceded the event, bringing hail and high winds (see additional picture). But the show did go on, and thousands were able to watch and provide the appropriate “oohs and aahs.” Happy Independence Day, America! Photo by Fabian Green. Posted on July 8, 2012 Author ilovedeepcreeklakerealestateCategories fireworks, lightningLeave a comment on Rockets' Red Glare, and Lightning, Too! There were a great many bombs bursting in air over the past weekend as Americans celebrated 235 years of United States independence. 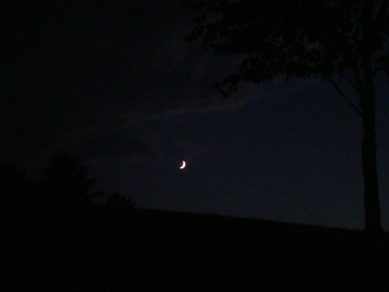 This photo was taken at Deep Creek Lake during the annual “Fire on the Mountain” event on July 4. 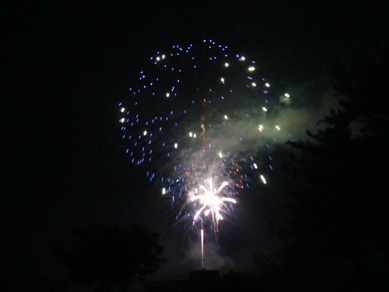 Other fireworks displays were held in several locations throughout the county, as well as parades, parties, and picnics. The weather was fairly agreeable, although the actual July 4th skies were cloudy and full of rain at times throughout the day. But all in all, the country’s birthday was celebrated in style on the mountaintop. Photo by Lisa Broadwater. >WOW! 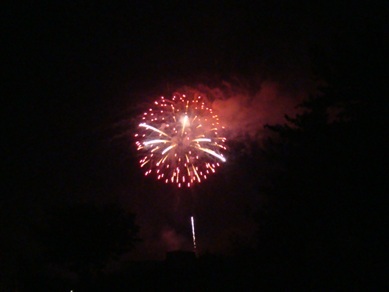 Another great 4th of July fireworks display at Deep Creek Lake. There had been thunderstorms before hand, so the sky was just clearing up and had some great colors for sunset. My daughter Kayleah & I met up with our good friends Rita & Adam and were heading out on the boat to see the fireworks from McHenry Cove. Curveball – the fuse for my navigation lights was out. Navigating without lights after dark wasn’t an option, so, we did a quick little boat tour as the sun set, and ended up driving up to the Wisp to see them. It’s been a few years since I have gone by land to see the fireworks, and it reminded me of just how many people are there watching. From the time we crossed the 219 bridge, there were cars parked on either side of the road – people tailgating, setting up chairs and basically having a great time waiting for the show to begin. From Rock Lodge Rd & Point View Inn, cars lined BOTH sides of Garrett Highway. Not parked front to back, mind you, like you see for the fair. They were parked side to side, most people backed in. So, for the next 3 miles or so, it was packed solid. Amazing. Meanwhile, I was trying to think of a unique place to watch from – I had narrowed my choices down to ASCI, near the top of Wisp Resort (to try and see them at eye level) or the golf course. I chose the golf course. We found a spot to park – believe it or not, there was only one other car there – and hiked up to the cart path by the tee box. Great spot – only 3 other people were around. 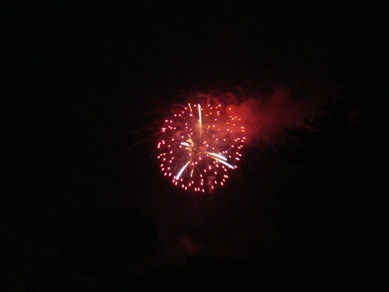 Very unique perspective, too – the fireworks appeared to be going off right over top of the Wisp hotel. Very impressive! The acoustics were amazing, with the sound bouncing between the mountains and echoing down the lake. My brother actually heard them from Oakland! After the grand finale, the sound of the cars beeping, boat horns, whistles, cat-calls & cowbells were resounding. Cold chills moment! It lasted for a good minute or so. 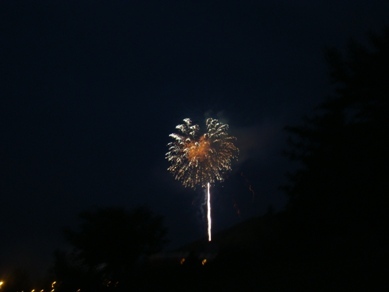 I LOVE watching the fireworks at Deep Creek Lake! The natural acoustics make every boom sound 10x louder, and the sound carries down the entire lake corridor. Great fun! Thanks to all the sponsors – especially Hugh Umbel! Video is forthcoming this afternoon 🙂 Check back! 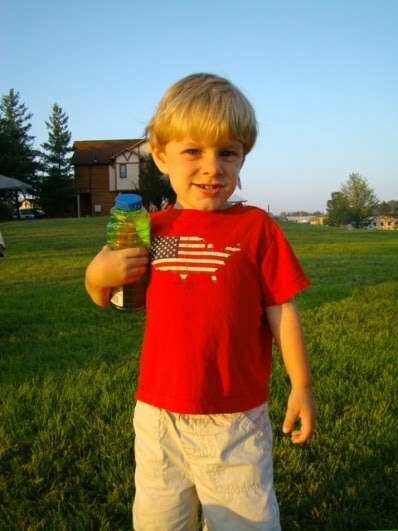 Lots of exploding red, white, and blue fireworks will be witnessed throughout the nation during the next several days as Americans celebrate the Fourth of July holiday. Locally, Oakland will host a celebration on Sunday, July 3, at Broadford Park, featuring fireworks at dusk. Accident will observe its annual homecoming on Monday, July 4, with a flag raising, patriotic music, games, and a parade through town at 11 a.m. Also on Monday, the Garrett County Chamber of Commerce and local businesses will present the annual Fire on the Mountain display at Wisp Resort, and the annual Old-Fashioned Fourth of July in the Park will be held in Terra Alta, W.Va. The Terra Alta Volunteer Fire Department will also host its 85th annual Independence Day celebration Tuesday, July 5, through Saturday, July 9, with music, a parade, and, of course, fireworks on Friday, July 8. Photo taken by Lisa Broadwater during last week’s Grantsville Days. >GC Chamber To Present "Fire On The Mountain"
Fireworks will light up the sky this Fourth of July during the annual “Fire on the Mountain” at Deep Creek Lake, presented by the Garrett County Chamber of Commerce. The display will begin at dark on Monday, July 4. The rain date is July 5. 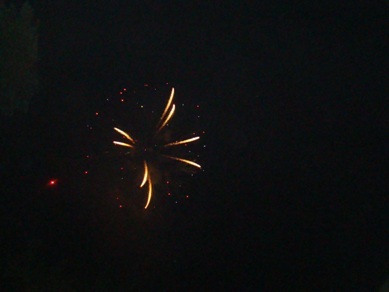 The fireworks will be launched from the top of Bear Claw Tubing Park at Wisp Resort. Prime viewing locations are the scenic overlook area along Rt. 219, Wisp Resort, and from a boat on the lake, particularly around McHenry Cove. Hugh Umbel Companies is the major sponsor for the 2011 display. The companies include Bear Creek Traders, Deep Creek Foodland Fresh, Legacy Home Corporation, McHenry Beverage Shoppe, and Perkins Restaurant & Bakery. Chamber president/CEO Nicole Christian expressed her appreciation to the companies for their continued sponsorship of Fire on the Mountain. “We could not present such a fabulous show without the support of Hugh Umbel Companies and our other generous sponsors, including Wisp Resort, our associate sponsor, and the Property Owners’ Association of Deep Creek Lake, a supporting sponsor,” Christian said. Additional supporters include special sponsors Bill’s Marine Service and Garrett Container Systems, and sponsors Beitzel Corporation, Double G RV Park, Glotfelty Enterprises, Lake Pointe Inn, First United Bank & Trust, Pillar Innovations, Railey Mountain Lake Vacations, and Susquehanna Bank. Sponsorship opportunities are still available. Interested business owners may call Sarah Duck, GC Chamber of Commerce, at 301-387-8746. Posted on June 19, 2011 Author ilovedeepcreeklakerealestateCategories deep creek lake, fire on the mountain, fireworksLeave a comment on >GC Chamber To Present "Fire On The Mountain"
In many locales, the skies above Garrett County were filled with fireworks over the July 4th holiday weekend, to the delight of thousands of residents and visitors, and pictured above is a “behind the scenes” look at what is involved in presenting such a display. 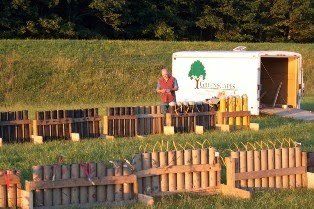 Milton Proudfoot, Oakland, who has been a fireworks shooter for over 40 years, is shown preparing some of mortars that sent 597 individual shots of fireworks into the sky above Broadford Lake on Saturday. Proudfoot noted that the largest supply of fireworks in the world was destroyed in a massive explosion in Hong Kong a few years ago, causing a huge shortage at that time. But he said that today there is a surplus of fireworks because of the faltering economy and resulting cancellation of many displays. Photo courtesy of Erin White. 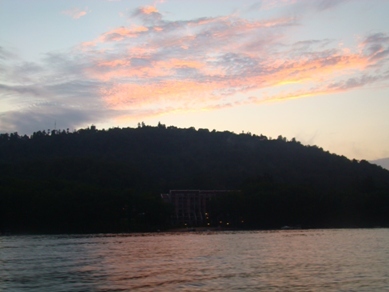 Watch the grand finale of the Deep Creek Lake fireworks here. The setting is always amazing. McHenry Cove starts to fill up with boats at about 7pm or so. I arrived at Ski Harbor on my boat, guests of some clients whom I have worked with for years and from my time owning property there. You see all kinds of picnics, bonfires and party tents set up all along the shorelines of the lake; thousands of people enjoying the 4th of July and the festivities. The water was really calm in the no-wake cove, and there were kids fishing off the docks and launching kayaks. We setup a picnic blanket and some lawn chairs and settled in for the show. The fireworks typically start at 9:30, so we had some time to kill and to enjoy the atmosphere. The fireworks lasted about 30 minutes or so, and the smell of sulphur was drifting through the air. One of the most impressive things for me was the way the sound echoes through the valley and reverberates through the lake. You can hear LOUD echoes on a 1-2 second delay that ring all the way to Sky Valley (a client of mine reports that her dogs are NOT firework fans). When the fireworks were finished, we waited for the boat traffic to clear up, and the kids rode home safely in the car – it is a bit scary on the return trip on a boat with all of the traffic, etc. 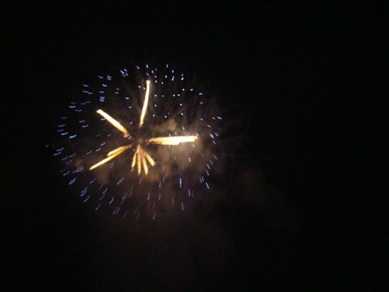 But, as far as I know, everyone made it home safe and happy – thrilled with the most impressive fireworks display Deep Creek Lake has seen in quite a while…thanks to Hugh Umbel for the show!! Here is a link to the photo gallery on Facebook, and I hope you enjoy the video from http://www.Youtube.com/deepcreeklake. If you are thinking of buying or selling real estate in Garrett County or Deep Creek Lake, Maryland, call Jay Ferguson of Railey Realty for all of your real estate needs! 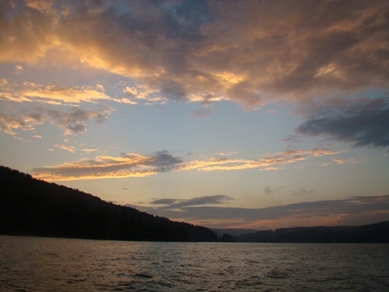 877-563-5350<a href=”http://www.ilovedeepcreek.com/”. 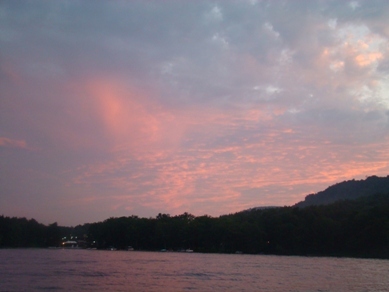 Deep Creek Lake Info, Business Directories, Classified Ads, Events & more! Advertise on http://www.deepcreekalive.com/!